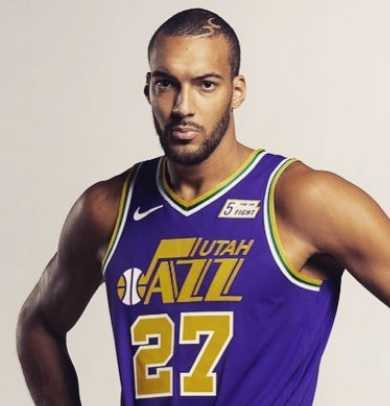 Rudy Gobert-Bourgarel, professionally known as Rudy Gobert is a French professional basketball player who plays for the Utah Jazz of the National Basketball Association (NBA) and also represents French national basketball team. He plays at the center position. He was named an All-NBA Team member 2016-17. He began his professional basketball career from French basketball club, Cholet in 2010. He was the 2017 NBA Block leader and NBA Defensive Player of the Year 2018. He was also included in NBA All-Defensive First Team twice in 2017 and 2018. He was the NBA Blocks leader in 2017. He is the best paid French athlete ever. Rudy Gobert was born on 26 June 1992. His birth name is Rudy Gobert-Bourgarel. He was born to Rudy Bourgarel and Corrine Gobert in Saint-Quentin, Aisne, in France. He holds French nationality. He grew up in Saint-Quentin. He attended Marist College in New York. He started playing basketball for the local club, JSC St-Quentin. Later he joined Saint-Quentin Basket-Ball club in2007. 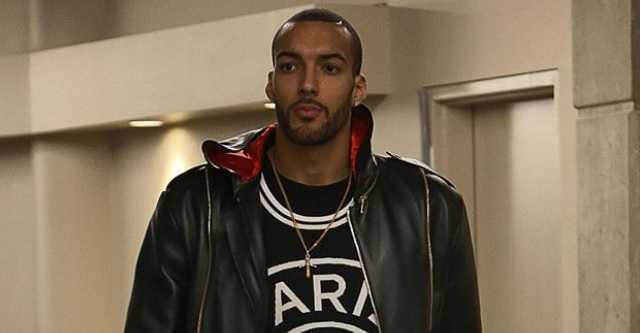 Rudy Gobert joined Cholet training center in 2007 and started playing for the Cholet Basketball junior team. At Cholet, he mostly played for the club junior team. He played few games for Cholet senior team. Rudy Gobert declared for the 2013 NBA draft. Denver Nuggets selected Gobert with the 27th overall pick and traded him to the Utah Jazz. He was assigned to the Bakersfield Jam of the NBA Development League in December 2013. He finished 2014-15 season as the third in the NBA Most Improved Player. He missed 18 games in the 2015-16 season due to MCL injury. He signed a four-year deal for $102 million with Jazz in October 2016, becoming the best paid French athlete ever in terms of salary per year. He became the fifth NBA players to have a 30-game streak of at least 10-rebounds in January 2017. In February 2017, he moved to the 9th position on the all-time block list with 499 blocked shots. He was named in the All-NBA Second Team for the first time in his career. He also earned NBA All-Defensive First Team honors at the end of 2016-17 season. Once again, he was named in the NBA All-Defensive First Team at the end of 2017-18 season. He was named the NBA Defensive Player of the Year 2018. Initially, he represented French junior national team in the FIBA Europe Under-18 Championship. He finished as the team's best scorer and rebounder in the competition. He won a bronze medal at the 2011 FIBA Europa U20 Championship and the silver medal at the 2012 FIBA Europe U20 Championship. He was named to the All-Tournament team in the 2012 FIBA Europe U20 Championship. He helped France to win a bronze medal at the 2014 FIBA Basketball World Cup and 2015 European Championships. He also received Eurobasket.com All-European Championships Second Team distinction. He also represented France at the 2016 Olympic Game in Rio. No information regarding his relationship affairs has come to light. He has managed to maintain his personal life private. He is reportedly single. Rudy Gobert Stands at a height of 2.16 m i.e. 7 feet and 1 inch. He is comparatively taller basketball player. He has a body weight of 245 lbs i.e. 111 kg. He has an athletic body build. Utah Jazz extended his contract in October 2016 signing a four-year deal for $102 million. He has an annual salary of $22.4 million. He was the best paid French athlete ever, in terms of salary. As of 2018, he has an estimated net worth of $1.5 million. He is given a nickname, Stifle Tower. His father is a former professional basketball player who played for the French national team. He became the highest paid French athlete ever in terms of salary per year after he extended his contract with Jazz in October 2016. In 2018, He became the third Jazz player ever after Karl Malone and Mark Eaton to earn multiple All-Defensive First Team recognition. In 2018, He became the second Jazz player to win the NBA Defensive Player of the Year. Mark Eaton last won the award in 1989.